So you’ve decided that you would like to try and gain some volatility versus return free lunch via some Bonds mixed in with your Equities or Equities mixed in with your Bonds. The next million dollar question to answer is then how much of your wealth should be allocated to each asset class. This is a critical question as it will likely have a big affect on your long term portfolio return. Unfortunately, as with many investing questions, I'm yet to find a silver bullet but considerations will certainly include your tolerance to volatility and risk. Assessing this tolerance is of course easier said than done. For example if you’re naturally risk averse you might choose to load up with more bonds as history suggests they might dampen volatility at the expense of some return however this adds absolutely no value if you then have a low probability of ever achieving your long term goal. Conversely there is then no point loading up with more equities to then sell at the first significant equity downturn. On top of this there could also be age considerations. For example every year that passes gives you less time to rebuild wealth before retirement. So what do others have to say about bond to equity allocation percentages? Hale’s second example then nicely demonstrates that a crucial decision in deciding allocations is also what you are intending to do with the wealth when you achieve the goal. The rule of thumb is to “take your investment horizon and multiply by four, this is an approximate percentage of equities you should hold in a portfolio.” This might be worthwhile if you intend to buy an annuity or if you need cash for any other reason at the end of your accumulation phase but I can’t see it working for somebody like me. So what do I do? Of course only time will tell if I have it right for me but in brief I'm a modified version of Bogle combined with Graham with the end game being a very early drawdown retirement. At its simplest I'm holding my Age-10 in bonds with my equities allocation therefore nominally set at 110-Age. I then add some Graham by valuing 3 key stock markets and I then move a portion of my equities from/to cash depending on those valuations. More details are contained within my Investment Strategy. For the 7 full calendar years I've been at this, 2008 to 2014, this method has returned a compound annual growth rate (CAGR) of 6.4% with a volatility of 11.3%. Given its importance I would love to get the maximum number of views on this topic possible so that we can all learn. Please do share you Bond to Equity Allocation and why you've chosen it in the Comments below. Please don’t be shy – each post I make these days gets thousands of hits but only a few Comments. The more data the more opportunity for DYOR. This is always an interesting topic, as well as the various ways investors approach it. For me, I'm 100% in equities because I'm investing to become financially independent as soon as possible, with an income that grows at or above the rate of inflation. I don't intend to stop work but FI is a nice safety net. 100% equities should produce the highest growth with an amount of risk that I can tolerate (I'm about 50% in large caps, 30% mid and 20% small). 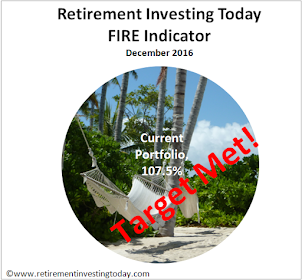 I will use the dividends from that 100% equity portfolio as income when I want to "retire". Of more relevance to your post (or at least more interesting than a 100/0 stock/bond allocation) is my son's portfolio. It's 60/40 stocks bonds, largely because that's the traditional split and it seems reasonable. I'm a heuristics guy so general rules of thumb are my sort of thing rather than worrying about whether the split is X-times my son's age, or whatever. It's split 20% each in ETFs of FTSE 100/250/World index/Gilts/Corporate AAA Bonds. I intend to rebalance it once a year, but currently the portfolio isn't big enough to rebalance because trading costs would be more than 1% of any adjustment. Actually that's another interesting point. Perhaps asset allocation should relate to the size of the portfolio? With a "small" portfolio people might be willing to take more risk, but as the years tick by and the savings mount up, they will probably (?) be more cautious, i.e. weighted towards bonds? Of course, asset allocation should relate to the size of the portfolio, or rather acceptance of certain risk losing a certain amount. This is because one thinks about your portfolio in terms of how much loss he can tolerate in absolute values rather than in percentage. One can lose 100 pounds if he tries to make 200, but one is reluctant to risk 100k even for the chance of winning 200k. Do you have a limit you can lose in casino before stopping playing? If you are not a gambler, you have it. This is actually related to VaR as per my comment below. "Perhaps asset allocation should relate to the size of the portfolio?" This is an interesting and good point. As I'm near the end of my journey I now notice that even small fluctuations in % look big in £ terms. For example since early April 15 I've seen my wealth fall by multiple years worth of expenditure. I'm ok with it as I know markets go up and down plus I'm happy with my allocation but it still does make you stop and think. Nice summary of some of the rules of thumb out there, RIT. There are so many, but all are potentially relevant to each individual. I second John's point. I think the size of the portfolio affects allocation a lot. My portfolio only being c.£25,000 at present I am still 100% equities. As I have mentioned before, at some point I will dip my toes into bonds/gilts. However, at present I am happy with this equity-heavy approach. I am very much at the accumulation phase. Hale's guidance is interesting. Take your investment horizon and multiply by four. That sort of makes sense. After all, if you have 25 years of more to invest a 100% equity portfolio is a pretty good idea. But equally, a 15 year horizon would throw out a 60% equity allocation. I like that one. It also allows your allocation to adjust according to your specific position at that moment. It depends on what's meant by "investment horizon". Is a seventy year-old woman who expects to live to about 95 (based on family history and her own health record, say) meant to adopt 25 years as her horizon and therefore be 100% in equities, or should she use the average of her remaining years, 12.5, and therefore be 60% in equities? I have a secondary question. Are there any plausible substitutes for bonds? People mention property, and infrastructure, for instance, or even utilities. Do they really stack up? Are there any "synthetic bonds" that one could construct? Or is this all silly, and should one stick to domestic sovereign bonds of finite but long date? I'm sure you know already but just in case my "bonds" consist of Corporate ex Financials Bonds, UK Index Linked Gilts, Half of my Property, P2P, Cash and my old favourite NS&I ILSC's. I must have been plagued by hunger on 27th June: by common consent 12.5 x 4 = 50, not 60. Aw dearieme! As someone who is looking to 'retire' very soon, I'm grappling with this question myself. The bulk of my income will come from rental property, but I'm acutely aware of how risky this can be, so I'm looking to diversify with an appropriate equity/bond mix. My gut instict is to only fuel the equity component to the extent that it fills the shortfall in income and to tune the global components of that using CAPE, as you do; the remainder going to bonds/cash/other. After reading Tim Hale's book, I was initially thinking to have the defensive component in gilts, but somehow I can't quite bring myself to invest in something that is going to lose money once interest go up, which seems inevitable. Given the lack of short-dated bond funds, I'm thinking it would be better to just sit in cash until yields get back to sensible levels. Slightly off-topic, but I'm also considering a bit of gold for extra diversity. Congrats on such a brilliant website by the way. Have you seen my full portfolio post from the 6 June 15? It shows my full portfolio which includes 5% gold. I count it with the "equities" portion of my portfolio. I have yes thanks. Very interesting. I think I'd be tempted to hold physical gold (coins) rather than a fund, although that probably presents its own problems in terms of liquidity. Going back to the original point of the post, if I didn't have a rental property, I would probably go 50/50 equity/non-equity. I say non-equity, because I'm still not convinced that bonds can be seen as being particularly defensive right now. For me coins have 2 problems - wide buy/sell spreads and where do I safely store them. Why would you prefer coins? Are you able to share your age? Just thinking what 50/50 means when compared to an Age in Bonds rule of thumb. I'm 45 btw. 50/50 just feels like a comfortable split given my sheer lack of certainty/experience. I can suggest that you add to CAGR and volatility another parameter - VaR. If one wants to keep it constant with growth of the portfolio positions, then slowly moving from equity to bonds would deliver it. This is somewhat quantitative expression of the rule that the closer one to retirement, the more percentage of bonds one should keep. Of course, this all math is based on normal distribution of assets behaviors, which while true for a short periods, breaks in longs term. So, everyone put your seat belts on and got popcorn to watch all the dramas in Greece, China and Ukraine? YEEHAW! VaR looks interesting and looks to deserve some further reading as it's non-trivial. Can you explain how you would calculate it in a spreadsheet? I would probably try Monte-Carlo simulations with some simple models for the assets, something like random walk with constant volatility. You need some historical market data for each fund to estimate parameters like volatility and covariance (as random variable will not be independant). Run simulations for each asset and calculate the value of the portfolio in a week, for instance. After 10000 simulations, you would know how you portfolio value behaves and how much you can lose with probability 5% in a week. Hope it helps, there are articles on the internet on this. Thanks for that. Given the limited freely available data out there it might be a challenge to work something up meaningful but is sounds like it would be worth the effort if I could find it. Added to my to do list for a cold winters day. It has made me think though - why hasn't someone worked up a decent free Monte Carlo simulator for UK investors? US investors are spoilt with the excellent FIRECalc and cFIREsim. I think as a shareholder you legally can request pricing history from OEIC fund managers. "Let’s say you start saving at 30, at which time you stock away $500 a month. Each year you increase that amount by 3% to keep up with inflation. Miraculously — because this is a fake retirement calculator scenario — you earn an even 7% annual return on your money each year. By age 60 you have roughly $830,000. Not bad. But let’s say you don’t want to retire until age 65. By then you’re portfolio would grow to more than $1.2 million. That means around 35% of your ending value at age 65 would come from the last 5 year’s worth of portfolio growth." That's a stunning figure, eh RIT? The wonders of assumed exponential growth! So far on my journey, as mentioned above, I've managed a nominal 6.4% to end of 2014. With inflation at 2.9% that's a real annualised return of 3.5%. I also work on a long term real return of 4%. Inflation has been an annualised 3.4% since 87. Summing the 2 means I need to achieve 7.4% nominal to meet my long term goals. He's assumed a nominal 7% annual return which is right between what I've achieved and what I plan on long term. Doesn't sound to silly an assumption. I think I've therefore missed what you were thinking? Was it the wonder of compound interest? It was more that 35% of the pot came in the last 5 years. It emphasises that you really don't want bad years in your last five (nor your first five of retirement either). A bad year earlier or later is less awful. Happily, or not, we are past this stage. Now we have just to pray that our final salary pension schemes survive us. Ahh understand now... Sorry for being slow. Your point is exactly why I published the sequence of returns post a month or so back as a nice reminder. I guess a poor 5 years in the run up to retirement probably just means you'd have to delay retirement a few years. A poor sequence of returns in your first 5 years of retirement definitely means trouble. It's one of the reasons I've been running the Income Drawdown annual posts looking at a retiree who pulled the trigger on the 31 December 2006 and thus saw a big downturn early in retirement. I'm not sure if you remember it? When I last updated in July last year a 4% WR was in trouble, a 3% was still underwater in real terms and even a 2% WR retiree was still underwater in 4 of the 6 cases. Next month is the annual update so it will be interesting to see how that is working out. I reach a significant birthday milestone in a couple of weeks and I've also got pretty close to my Big Number and I have to say that the nearer one gets to having the pot full the more difficult the choices seem to be. The instinct to preserve the pot is powerful yet at the same time I need to deliver a decent return if I'm to avoid depleting the hard won sum. Whilst in the accumulation phase I ran a portfolio that was invested 83% in equity funds, 8% in property and 9% bonds. This gave more than acceptable returns. A couple of years ago I began to get worried about all the easy cash sloshing around and switched the portfolio to 20% bonds, 8% property, 22% cash and 50% equities. So this is a classic 50:50 split but I thought there was (and remains) a yield risk on the bonds so diversified into low risk cash. Will the portfolio stay like this? It will until we see the effect of the first round of interest rate rises. Thanks for sharing North West Ian. "the first round of interest rate rises": my own suspicion is that these might be followed by interest rate cuts made in a panic - it'll depend on the markets' responses to the first rises. 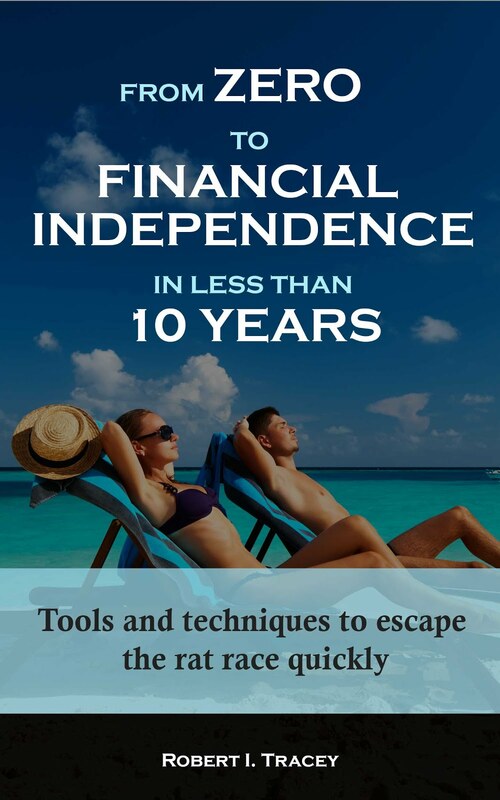 - I have 100% equities in my pension, as the investment horizon is over 25 years. - My ISA is 70% equity and 30% bonds, with a shorter investment horizon. - Then I have a chunk of cash, the so called emergency fund. In aggregate it works out at 80% equity and 20% bonds/cash which I am pretty comfortable with. I will need to keep an eye on it as, given current contributions, it will start to tilt further towards equity each month. I still flit between getting greedy and wanting more in equity and getting fearful and wanting more in bonds. So, on balance, I am probably about right I guess! So you're an Age-13 investor at this time. That's not a lot different to my nominal Age-10, particularly when you consider I have 9 years of age on you. I'm probably coming a bit from left field with my comments, but I will throw them in and see what reaction they cause. I have never invested in Bonds over my 20 years of investing and have no intention of doing so in the future. Why? Because I look at the history of the returns on Equities versus the returns on Bonds and over the long run, Equities beat Bonds. Yes I hear you argue that in certain periods Bonds on average beat Equities. But I think there is an argument to invest for the never never as opposed to the defined period at by looking at your age. None of us know how long we will live; and I for one do not want to run out of cash before I die, so I have set my strategy (although I hate the word strategy) to provide me with an income for the rest of my life by mainly only drawing dawn the natural yield from my portfolio. Yes if I want to I can draw some capital at appropriate times and I also hold 1-2 years of income in cash to ride out the bad times, which assumes that the yield on Equities will fall with the market falls?! So what is the aim? To provide myself and my wife with a sustainable level of net income at least equivalent to that we had before moving to semi-retirement, taking into account that there is no need to pay off mortgages, save for retirement etc.. In fact the strategy produces a higher level of net income due to the need not to pay for any of the other things we needed to do so before moving to semi-retirement. Yes we do not lead an extravagant lifestyle but we maintain the level we had before moving to the new style and probably enjoy a better lifestyle as we do not have to worry about the noise in Mr Market; and yes I have lived through a number of ups & downs in the market over the last 20 years when my strategy was to produce capital growth and take the pain of market ups & downs. The end aim is to produce an income to live on forever (and not run out of capital producing income) and to pass onto our heirs a sustainable portfolio that will enhance their lives; we will never be a Lottery style winners lifestyle, unless we won that we wouldn't know how to live that lifestyle (and we almost never do the lottery). Many thanks for the alternative view Gareth. It's exactly the type of food for thought reply I was hoping for. Advertising in the blog? I think this is the first time I'd come across it in the posts? No replies please - I don't want this to expand into anything more. That just leaves the odd one that sneaks through on posts <7d which might hand around a while given I have a day job.